St Louis Bankruptcy: Does It Really Make A Difference Which Bankruptcy Attorney I Use? When our firm files a St Louis bankruptcy (regardless of whether it is a Chapter 7 or Chapter13), we have two main goals in mind: 1) we want to get all of your debt taken care of (either discharged in a Ch7, or consolidated in a Ch13); and 2) we want to make sure all of your assets are protected. This second goal is not something that most people think of when they consider bankruptcy. The main thing people are thinking about is getting rid of their unsecured debt (such as credit cards, medical bills, payday loans, overdrawn bank accounts, old gym memberships, etc.). And is certainly a major bonus of filing such a petition!! But the second goal is at least as important as knocking out your debt. When you file a bankruptcy, you have a duty to list out all of your assets (in other words, you have to let the court know about every single thing you own). Once you list everything out (including real estate, automobiles, bank accounts, tax refunds, baseball cards, tools, machinery, farm equipment, literally everything), your attorney can then keep them safe (by using “exemptions” that the state allows by way of statutory law). In most cases, your assets can be protected with the use of these exemptions. But there are some situations in which the asset in question has too much equity, and cannot be fully exempted. This is when filing a bankruptcy becomes risky. Because the main job of the Bankruptcy Trustee is to find any assets that have unexempted equity, take them from you, and sell them (so that he/she can use the proceeds to pay off your unsecured creditors). And because this possibility exists, then it is imperative that you use a St Louis bankruptcy lawyer that knows what they are doing!! 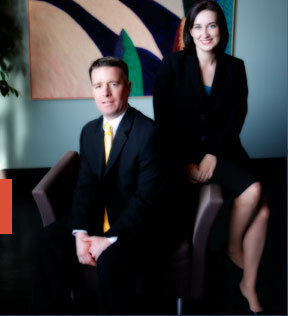 At our firm, we will answer all of your questions, thoroughly explain all of your options, and help guide your through the process from start to finish!